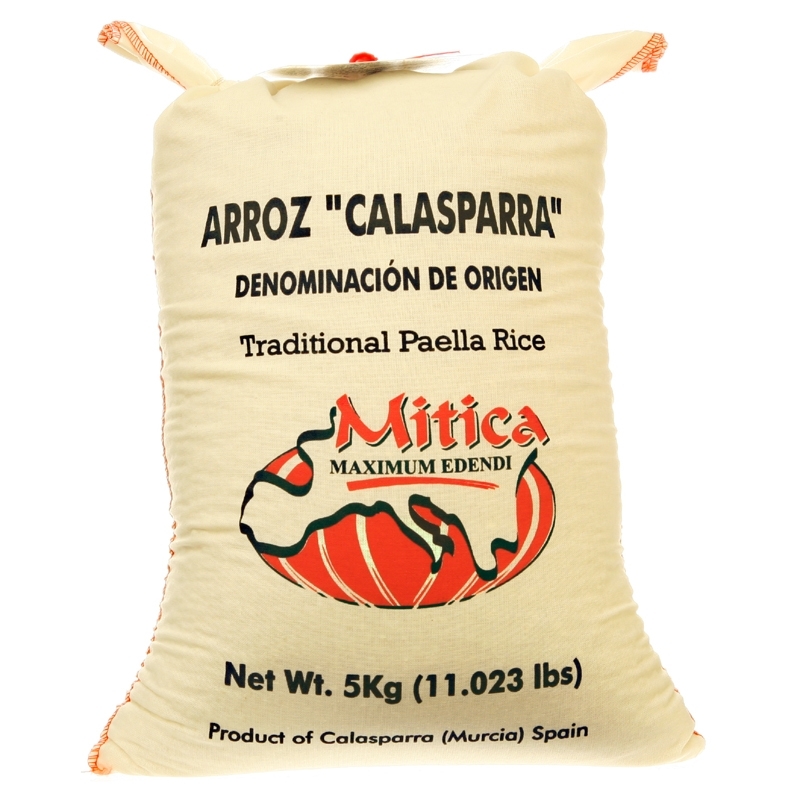 Cloth bag contains 5 kilos or 11 pounds of calasparra rice. That's equivalent to 22 1/2 cups, enough for 45 to 70 servings (depending on appetite). 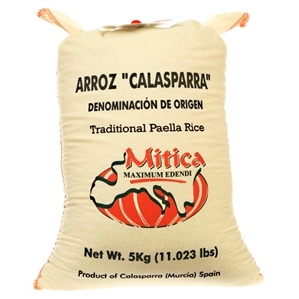 Calasparra rice is grown in the mountainous region of Murcia in southeast Spain. This rice has Denominacion de Origen status, which ensures it meets the highest quality standards. This variety of rice performs very well in paella, and it's a bit more economical than the highly-acclaimed bomba variety. It absorbs twice its volume in liquid (2-to-1 ratio), and it holds its shape and texture without getting soft or splitting.